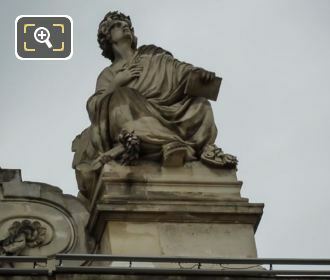 Again these high definition photos show another statue by Auguste Ottin, which is called L'Art and can be found on the Pavillon Daru wing of the Musee du Louvre in the 1st Arrondissement of Paris. 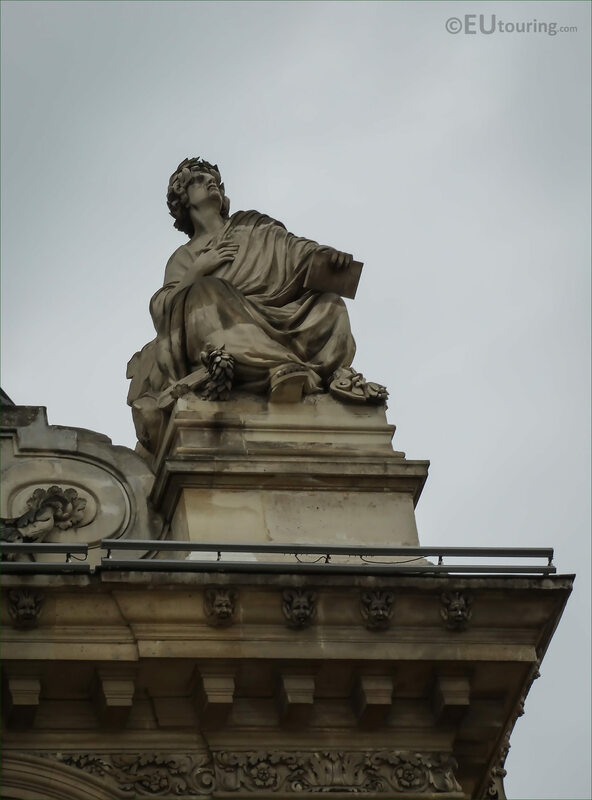 The stone statue of L'Art is another allegorical sculpture that can be found on the top of the Pavillon Daru wing of the former Palais du Louvre, which can be seen from the Cour Napoleon courtyard, and as you look at the facade, this would be the statue to the right hand side. Now this statue was also produced by Auguste Ottin, who was a prolific and renowned French sculptor born in Paris in 1811, and he sculpted both of the top statues for this wing of The Louvre. 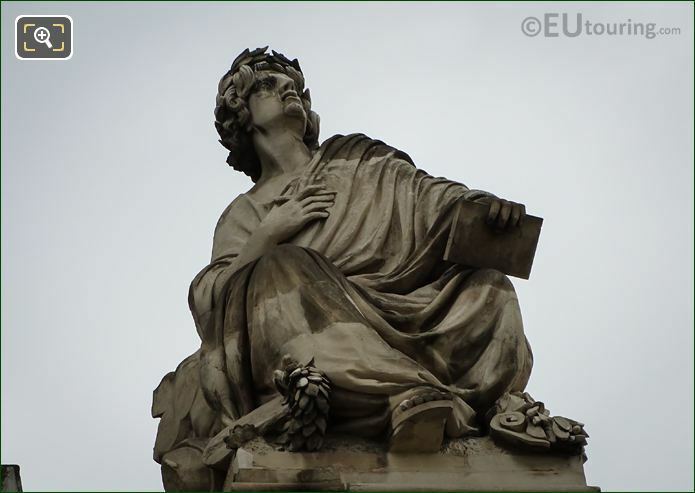 Yet he was also commissioned for different portrait style statues and busts including one within the Cour Carree and another for the series of Queen and Famous women at the Jardin du Luxembourg along with an official statue of Napoleon III that can be found in Compiegne, to name a few of his works, prior to passing away in 1890.